When we left for my sister’s wedding we had 11 eggs going in the incubator. For the first time this summer they were not chicken eggs. I declared my desire for guiena fowl one night this past winter. Thanks to the magic of the internet I was able to have fertile eggs sent to us. Our local feed store has a great selection of poultry but I really wanted to hatch them here, if we could. 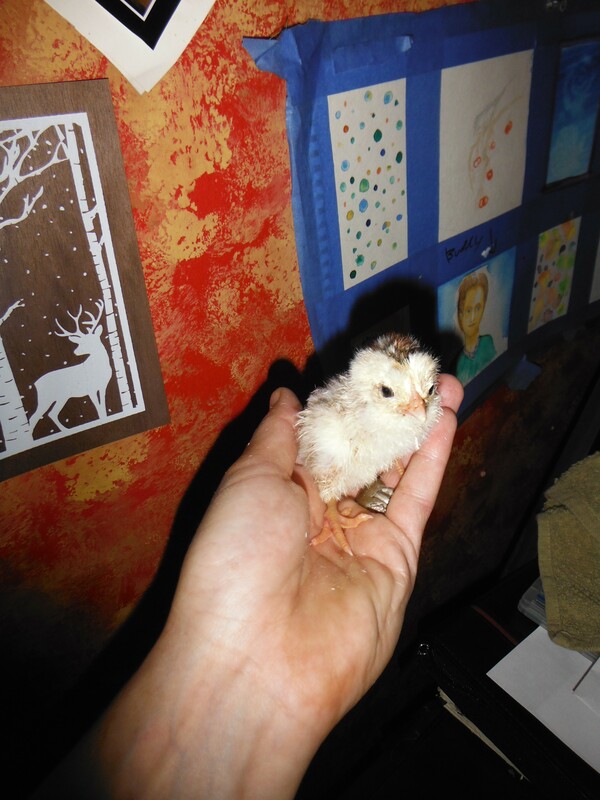 I really believe there is such a big difference in chicks that have been handled right away and the ones you get from a mass hatching. Even when you get very young birds. 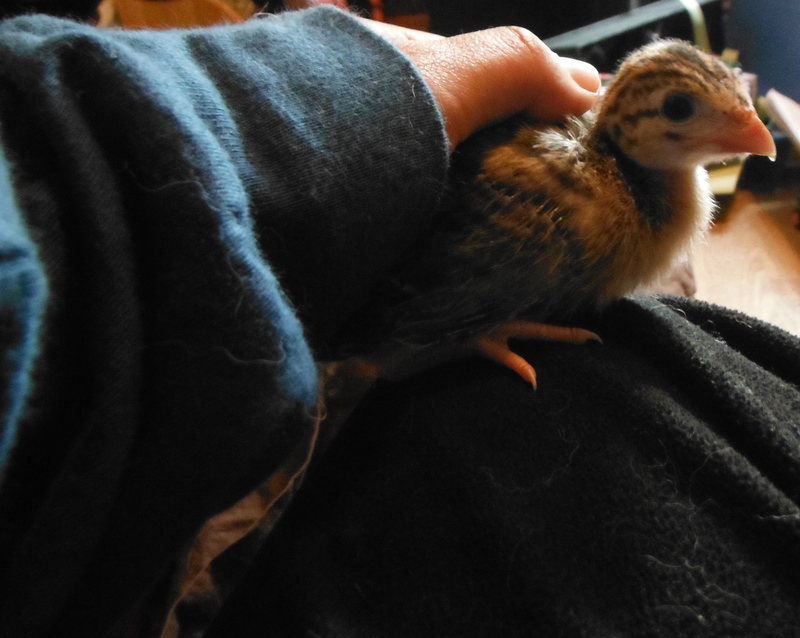 The ones we have hatched here are just that much more used to hands and humans. I had an additional reason for wanting the guineas born here. 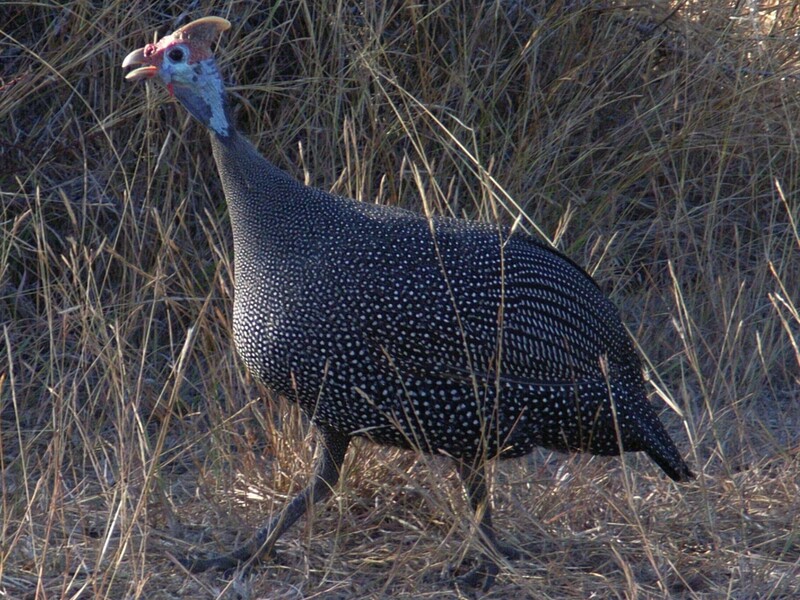 Unlike chickens, if you were to buy adult guinea fowl and just free rang it in your yard right away- they might try to fly home. They are more like pheasants than chickens. I wanted them to be born on the property so that their little GPS’s will be set here. The whole purpose of getting the little feather heads is so they can roam the garden and eat all the bugs. Chickens eat bugs AND gardens, guineas eat bugs. We could really use the help since we are growing everything organically/GMO free. 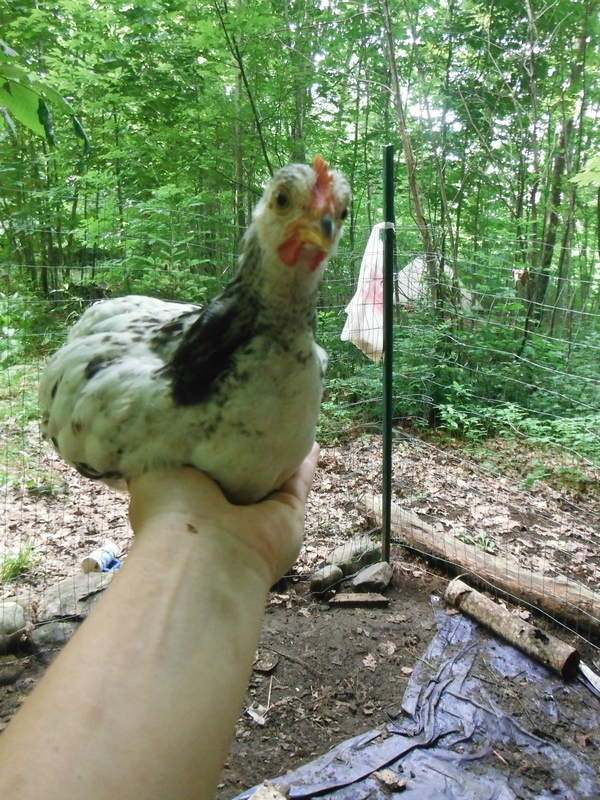 I have decided that “organic gardening” is Latin for “being constantly covered in bug parts all day.” The best part is they eat lice, worms, ants, spiders, weedseeds, and ticks so they can roam the backwoods too! They are not going to be like the chickens. Even with the early handling they are a little more feral and WAY more aerodynamic. This is another reason that I will let them roam free, they are very capable of getting up into trees and aways from predators. They are also sometimes descried as “watch dogs” (like peacocks) they will make warning sounds when predators are around. Guineas are the reverse ugly ducking of the poultry world. 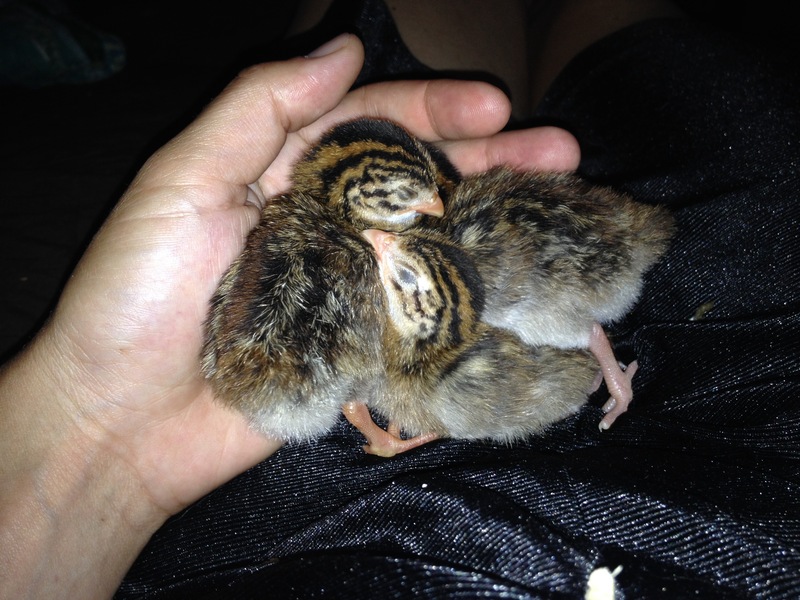 Keets (baby guineas) are the cutest little things!